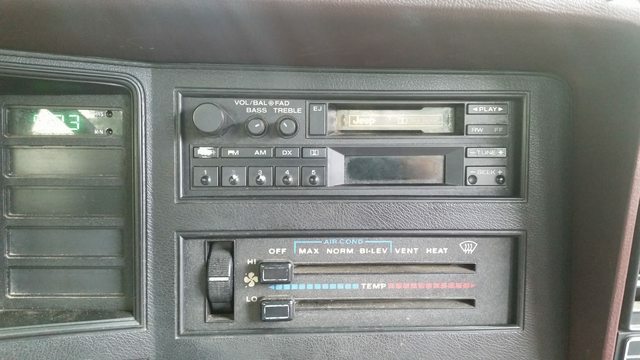 This is the Silver Star 1991 Pioneer build thread. I have long loved Jeeps, my whole family has, and have over the years owned numerous Wrangler YJs and JKs and Cherokee XJs. For the past few years I have been playing around with my YJ doing a frame off build. 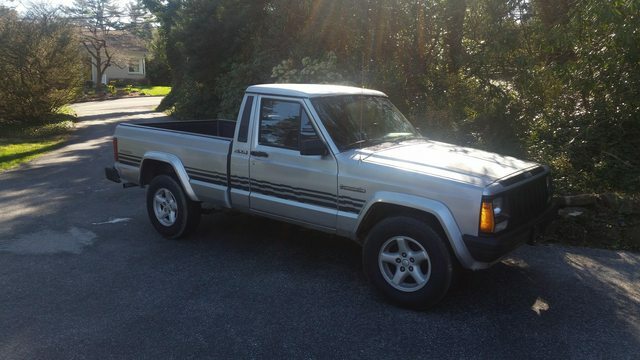 I have always wanted a Comanche. You've got to understand something about me. I am a software engineer by trade, and revel in my own obsessive compulsive disorder. When I build a Jeep, I do every last thing right. I wanted to do a Comanche right. For my Comanche build, I wanted all it's guts pretty much interchangeable with my YJ. I know the Chrysler electronics very well, and I am very fond of the AX-15 4.0L HO combo. So I was specifically looking for a 1991 or 1992 Comanche 4.0L HO AX-15 4x4 from the south or garage kept, no rust/rot, SWB preferred. I'm in York, PA. I spent three years waiting for the right one to pop up within five states on Craigslist. I knew it would take a while because the combination of items I wanted to start with were going to be rare and hard to come by. I'm not even sure this combination was offered in 1992, but likely. In March 2017, a matching vehicle was listed in Waldorf, MD, and I bought it for $3200. 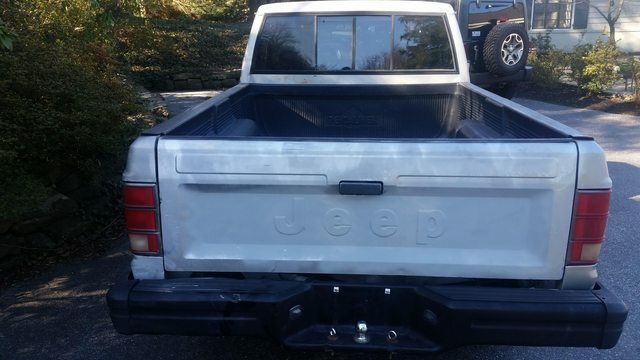 And so begins the Silver Star 1991 Pioneer build thread. This is pretty much a duplication of my registration post. It has all the vehicle specifics. I'm waiting to get the actual build sheet from Chrysler. Will post that when received. History: Build sheet indicates Washington. Most of it's life was spent in Powells Point, NC, apparently garaged. 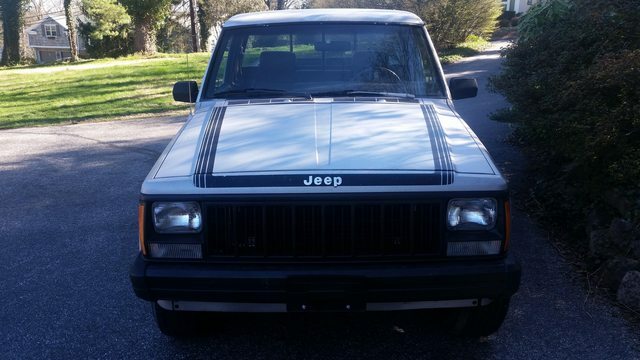 Purchased in NC in 2016, moved to Waldorf, MD and underwent engine replacement from 1991 XJ. Sold to me in March 2017, moved to York, PA. As purchased the vehicle is rust free, runs and shifts perfectly and has no rust to speak of. The paint is a disaster, and it has a few electrical issues. Intention is to get it on the road and inspected, then build it out. Here are Day 1 pics of the exterior. The vehicle spent most of it's life in Powells Point, NC. I lived in Kitty Hawk, NC on the Outer Banks for a few years. Powell's Point is inland about 2 miles. This truck should have been riddled with rust from the ocean air, much like an 85 Land Cruiser I had while living at the beach. It wasn't, though. I assume this was owned by an old man, because every scratch was painted over with some sort of grey or silver paint or primer. With spray cans, rollers, brushes, whatever was available. The paint job is a basket case, but it's protecting perfectly clean metal. Only real body damage to speak of is under the driver's taillight. Close up in the last pic. Interior shot. This burgandy interior is going to go. 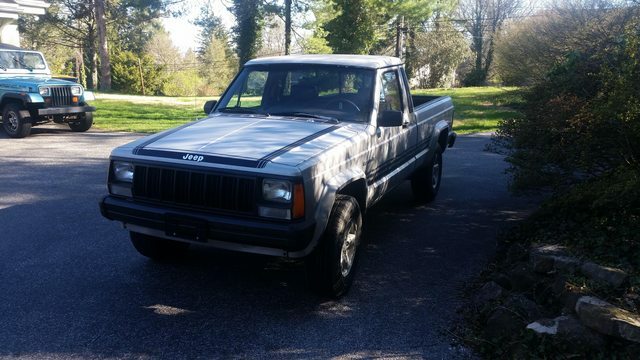 I have already purchased a black MJ steering column, black dash and all black interior plastics from a local guy here in Jacobus, PA. Real nice man, ran what he called the "Comanche Ranch". I believe his name was Curt and he's on the Comanche Club. Had three lowered Eliminators stuffed in a two car garage. Paid $425 for the interior parts. Will still have to get carpet, door panels and reapolster the bench seat, and paint my shifter console to match. When I said rust free, I meant it. Like I said, the main owner of this Comanche painted it with every shade of grey and silver when it got scratched. I didn't mention the undercoating. It must have came from the factory and then was sprayed on at intervals as it wore away. Any rust you see is surface only, and it isn't much. Underneath this thing is clean almost like the day it rolled off the assembly line. Most of these pics were focused on the factory skid option. I understand that's rare. In 2016 Silver Star was purchased from the original owner in Powells Point, NC by a younger serviceman stationed in NJ. He moved the truck back to his family home in Waldorf, MD. Apparently he paid $2800 for it in early 2016 and had to trailer it back to MD because the engine leaked like a sieve. 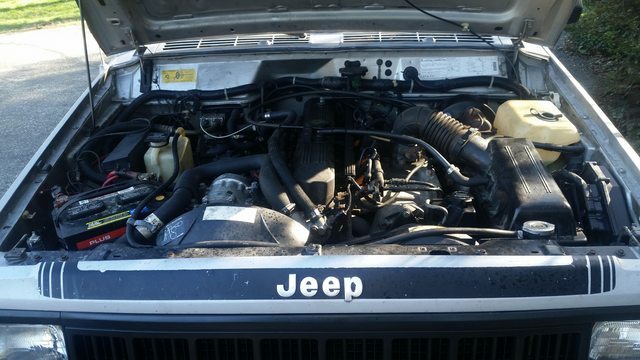 He replaced the engine with a 110k mile unit he pulled out of a 1991 Cherokee. No documentation on this. He also began fixing the A/C system and gave me all new parts to complete that. Looks like a full tune up was done and new upgraded injectors added. New/newer clutch put in when the engine was replaced. Runs very well. Only mechanical issue I can find is the water pump pulley squeaks and needs to be replaced. Here's a shot. And so ends the Day 1 picture fest. I'm going to end here by summarizing the current issues as of Day 1 and my intentions with Silver Star for this build. Current issues will be fixed soon enough. PA has yearly emissions and safety inspections, so I have to pass those right after I tag it, then I can start pulling it apart. I always like to start with things close to 100% before a build. Other things I'm debating on: Concerning paint, will keep it Silver Star or switch to a Midnight Blue. 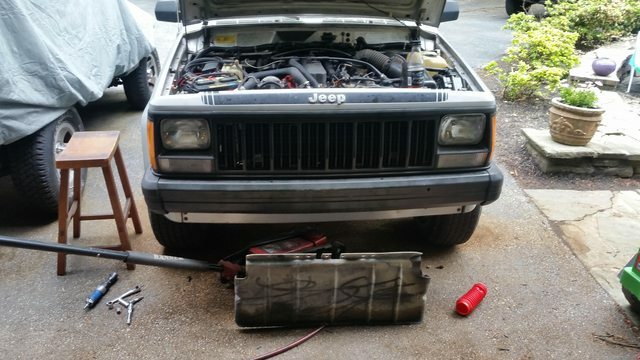 Considering a 97 XJ front clip, not sure. As many things/ideas I can adapt from the YJ I will. This will be a daily driver and capable weekend warrior. 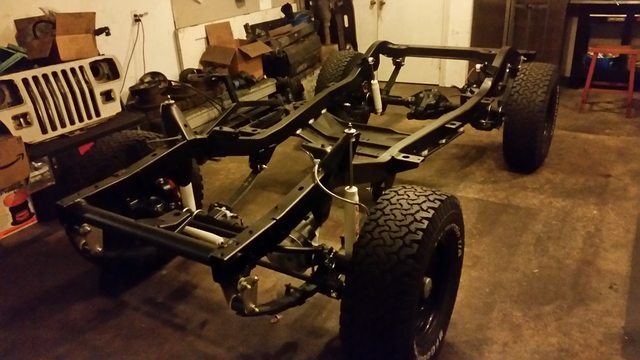 SLOW BUILD NOTICE: I am currently finishing my 95 YJ frame off restoration. That build should be done in May or June 2017. At that time I'm going full bore with this Comanche build. Until mid summer 2017, I may only update this thread minimally as some of the items listed as current issues are addressed. When I get started, I usually only work on my toys on the weekends, so updates every two weeks or so are likely. I'm going to keep this to build info and definitive info I've learned that might help others. If I have any questions, etc. I'll post them in the Tech thread. Thanks so much for being here, Comanche Club. This seems like a much nicer group of people than I see on some of the Jeep 4x4 forums. Seems like you could lift or lower your Manche here and everybody would love you the same. I'm not going for a radical build here. I just want to bring my Silver Star back to new condition all the way around, and build her out like an early 90s toy, the way her designers intended. Great documentation for the starting line. Welcome to the group. 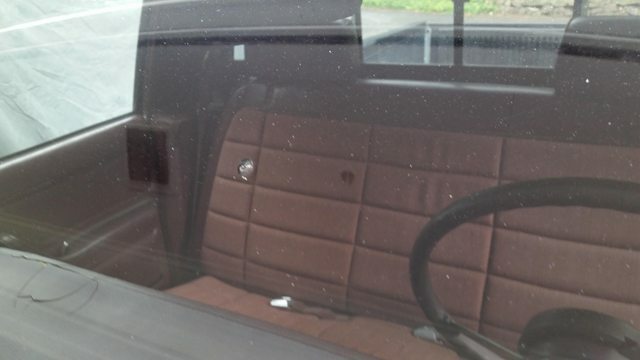 Don't toss that old burgandy interior if you can help it. Somebody will need it. I do like the silver colors, but the sun is not their friend. Come to think of it, Jeep paint is not all that great anyway. VW is worse. Thanks for the replies. I understand how rare some of these parts are, so my intention is to preserve as much as I can during removal to sell or trade. Received the build sheet today. Only took Chrysler less than a day to send it to me. Let me know if anything stands out as important. I see the tire specification TMWA is obviously off. Registered the MJ in PA yesterday. 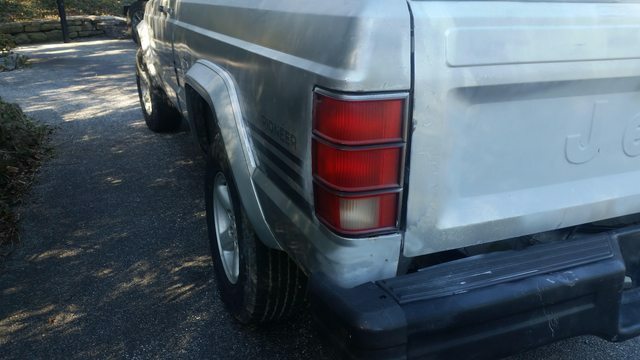 The insurance lady had never heard of a Comanche. The lady at the registration center had to come out to look at it. Said she had never seen a Jeep truck before. Then she had to manually submit the VIN to the state as it wasn't recognized. Guessing people outside the Jeep world don't know about these things. Concerning that rear window, Chrysler says the MJ was optioned with 'MMCS Rear Door Solid Window Insert', which makes me think that it didn't come with a slider from the factory. Anybody able to back that up? I have a lead on a stock sliding window, but wondering if they all leak, even when installed right? Would prefer to use a slider, but not if they leak, and how it came stock may come into play. Comments welcome on this. Thanks. Oh hey, my '91 is Silver Star Metallic too! It's a great color but the clearcoat really didn't hold up well. I've noticed my clearcoat gradually getting worse over the 5 years I've had my truck - started out as just a small spot on the roof and now the clearcoat failure probably covers a third of the entire roof. That's a great looking truck. Let me know if you're willing to let go of any of the maroon pieces, I'm especially interested in the B-pilliar trims if the speaker grilles aren't cut out and maybe the steering column. @Minuit: When all the US manufacturers switched from single stage to base coat clear coat in the late 80s the products they used were substandard. I've got the same issues. @john92131 said silver is notorious for this, wasn't aware of that. Anyway, that burgandy interior is being pulled sometime in June most likely. It's in great shape, no holes in anything. B pillars are clear. I'll list it here when it's ready. This is a summary post to list out everything that I've done with the truck since April. Today is Day 65. As I stated initially, my goal is to get the Comanche on the road, completely legal and PA inspected prior to making any modifications. 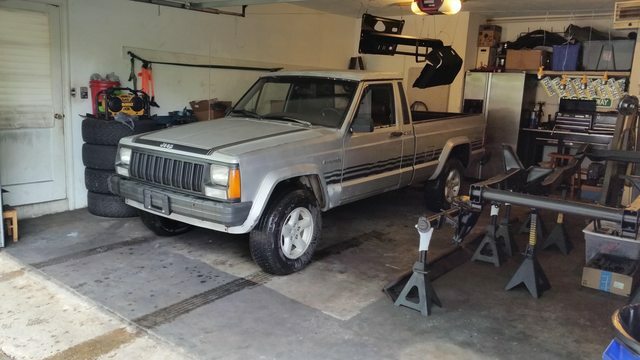 I am currently building a 1995 YJ, and the Comanche is pretty much on the back burner until that's done. At this point I've got the chassis at about 90% complete, and intend on dropping the stock drivetrain and tub on with minimal mods, so I'm nearly done. 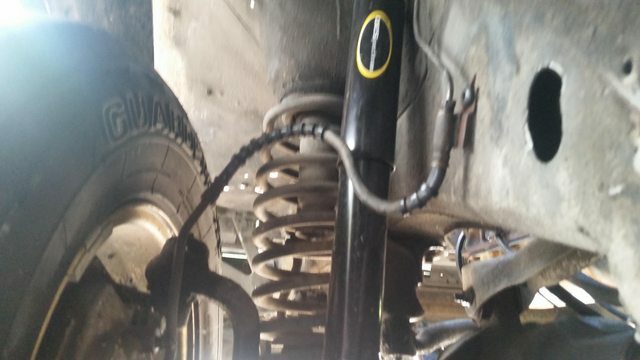 I'm not going to hijack my own thread here by posting about my YJ, but this will give everybody an idea of the special treatment in store for the Comanche when the YJ is done. The following items have been addressed over the last few months as I've made time for the truck and pushed work on the YJ build. 1. Engine Squeak: I tracked what I initially believed to be a squeaky water pump pulley. It was a misaligned power steering pump pulley. 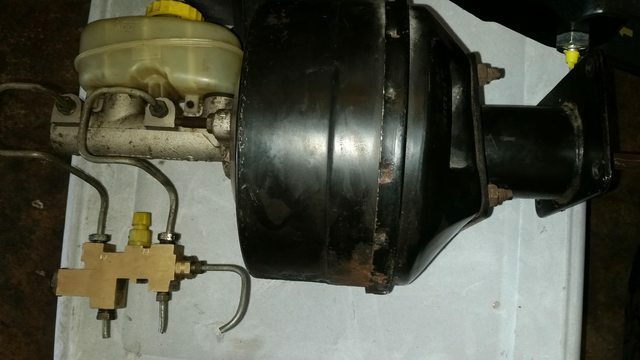 After looking at the water pump, it appears new, as does the idler pulley, and the A/C compressor is new too (see below). When looking at the belt, I could see it was stretching across the water pump pulley to the tune of about 1/8" on it's way to the power steering pump pulley. I couldn't tighten down the pulley to where I needed it until I removed it, cleaned all surfaces and used a little grease. I think the PO put a new belt on when the engine was put in and the squeak developed just before I bought it. I replaced the belt too. 2. 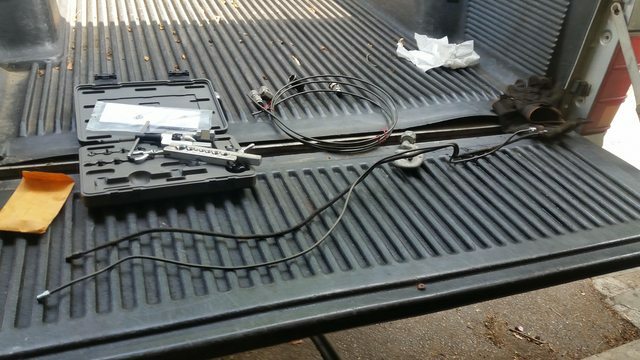 Electrical Mess: I was able to successfully remove all original owner added wiring in the engine bay, under the dash and at the rear of the truck. From what I could tell all the added wiring was for a fairly elaborate trailer lighting apparatus. Removal from the engine bay and under the dash was easy. The taillight harness required a near complete rebuild. I'm happy to say all the harnesses that I know were fouled up are now fixed. 3. Brake and Tail Lights: Once the wiring was cleared up, I replaced bulbs in the taillights and they all worked in Hazard mode, but not for flashers, brakes or lights. 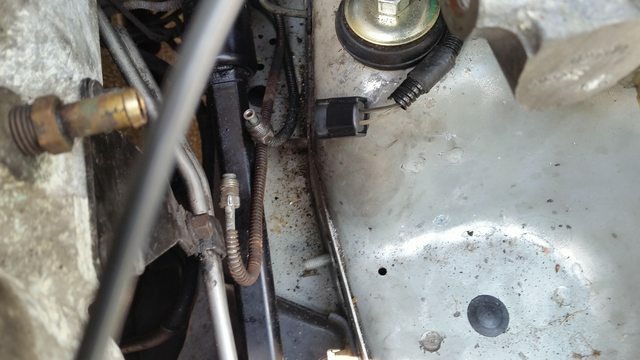 I was able to track the issue down to a bad flasher module/relay on the fuse panel, and a loose wire in the under dash clip on the steering column. 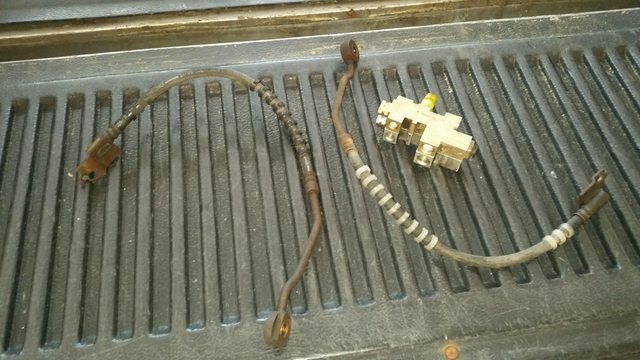 I also had to track down a couple of connectors that worked to tie the stock wiring harness into the stock license plate lights. 4. Horn: The horn was just DOA. After verifying there were no blown fuses, I ran a wire from the battery to the horn to test function. No dice. So I went to the parts pile and found a YJ high tone horn. 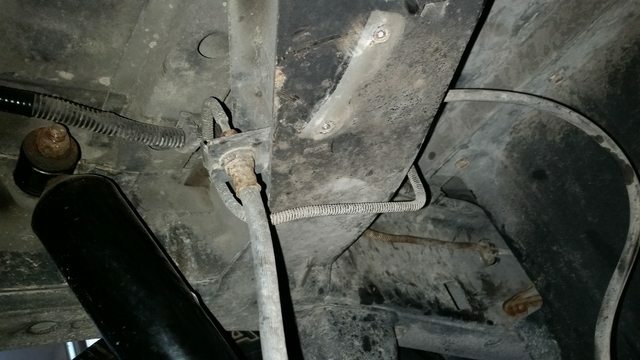 Replaced the non-working unit with the YJ horn and ran a ground wire to a nearby bracket. The horn works, not that I ever use it. Gets blown once a year during annual PA vehicle inspection. My dad loves the horn. 5. 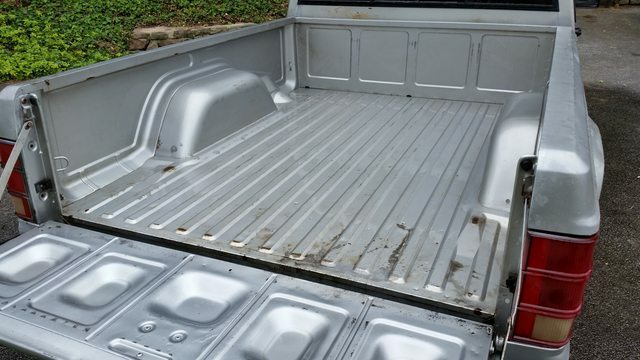 Need Bedliner Hardware: Actually, now I don't. I ran into Curt from the Comanche Ranch in Jacobus, PA (the guy that sold me the black steering column and interior) at the annual Settler Jeep Offroad Show in York, PA. He brought two of the five MJs there, and they were by far the nicest. I brought mine too, and risked the inspection ticket to do it. Anyway, when Curt and I were looking at another pretty rusted up MJ with a factory bedliner in it, I commented that I sure would like to get a factory bedliner to replace the Pendaliner in it now. Amazingly he said he had one for a shortbed and would sell it to me. I paid him for it, but told him I couldn't pick it up for a few weeks until my inspection goes through. I really shouldn't drive the MJ without it. He's just holding it at the back of the property for me until I get there to get it. Awesome guy. So the stock bedliner tucks under the bed rails, so no need for a hardware kit. Not that I could locate a single one that looked to fit the Pendaliner anyway. I'm not necessarily tied to it and would rather just stick a newer head unit in there that has USB and possibly CD support. Maybe it's worth something to somebody that knows which connection inside needs to be re-soldered and could trade for other MJ parts. Or maybe I'll fix it and use it. Not sure. 7. Installed new A/C compressor and condenser and all plumbing. I still haven't charged the system with the replacement R-12 refrigerant, mostly because I can't find a tutorial on how to do it for a completely purged system. Will probably post something in the tech forum asking for advice. 1. Harmonic balancer may be approaching end of life. 2. Retighten the new Banks belt after it's broken in and loosened up a bit. Re-tap two of the power steering pump tensioner bolts (appear stripped). 3. Fully research cruise control module removal and verify the PO properly removed everything. The cruise control wire in the steering column was cut at the multiswitch by the PO. 4. Check contacts in the steering column for the horn for corrosion or debris. The horn seem to want to work only when pushed at certain angles. 5. Refurbish or replace door vent window seals, and continue to look for a suitable rear slider window replacement. 6. 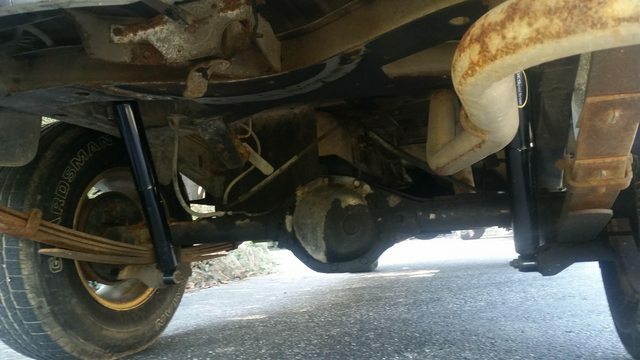 Narrow down intermittent exhaust vibration. 7. Charge the A/C system. Requires full charge. 8. PA Inspection Items: Delete non-functioning rear proportioning valve; Fix small glass chip in windshield; Replace rusted tailpipe. I've purchased all the stuff needed for these, just need time to do it. I have nearly decided on a spring under suspension lift at 4.5" and running 32x11.5" tires on 15x8" Cragar Soft 8s. The only other alternative in my mind would be to run 31x10.5" tires on 15x7" rims, either Cragar Soft 8s or Jeep Turbines. I've got to do a lot of research to be sure everything will work. As at present, I don't believe I'm going to go with a 97 front end conversion. There's something special about the original MJ frontend to me. And I really, really want to keep my factory flares and front spoiler intact. I have to figure out how much lift and what other changes (trackbars, tie rods, swaybar links, control arms, etc) are needed to accomplish that with full articulation. Currently the MJ is geared at 3.07. This will not do. While both tire combinations above would have been awesome using a 3.73 gearset, I think 4.10 is going to work just as well and leave opportunity for a little more tire, if ever desired. So for the past couple of months I've been on the lookout for a set of Cherokee (XJ) axles in 4.10. I was able to pick up a set from an 86 XJ with the GM V6 in it that was being parted out. The rear is a non-c-clip D35 which is super clean inside and out. The only issue with the D35 is a leaky pinion seal, which is a cheap and easy fix. I intend on doing a ZJ rear disc conversion on it, so I'll need to work around the non-c-clip setup for that. The front D30 is in great shape as well. Being that the D30 is from an 86, it's got AMC knuckles, etc. 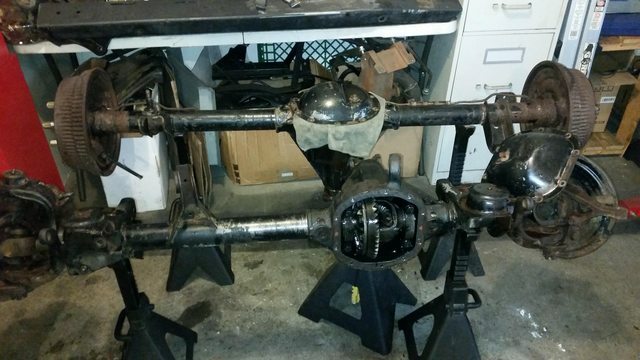 I am going to get a long side TJ axle shaft from the local Jeep guys and use spindles, knuckes, the short side shaft and brakes from my 95 YJ's front D30, which is about to be replaced. So, that will give me a non-disconnect D30 with the bigger 297x u-joints up front. Nice. Only problem is that they're taking up room in the garage I need to finish the YJ. As far as hard to find stuff, I really think I'd like to try to locate a stock rollbar for a shortbed. 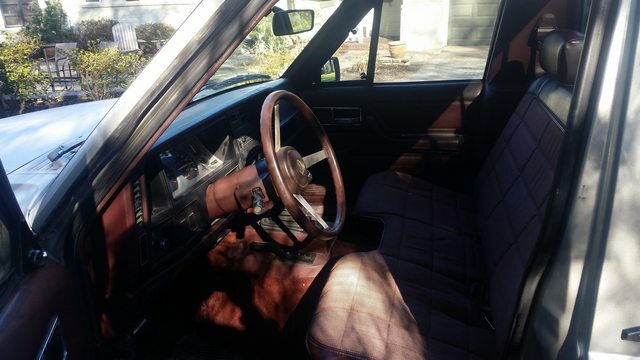 I've got about 90% of the black interior - all the really hard to find pieces already. Need headliner material and carpet. I also need to have the bench seat reupholstered and the sun visors to match. Need black door panels and possibly a black mini console. Still up in the air about paint as well. Really thinking seriously about midnight blue with the current hood decal set in silver, and the older style hockey-stick pioneer decals for each side in silver. All I know is my wife hates the silver truck. Some days I hate it, some days I appreciate it. One goal with this build is to get her to agree the Comanche is cool, because right now she thinks it's obnoxious. She drives the 2013 JKUR. What does she know? I guess that's enough for now. I'll post back when I make another block of progress. 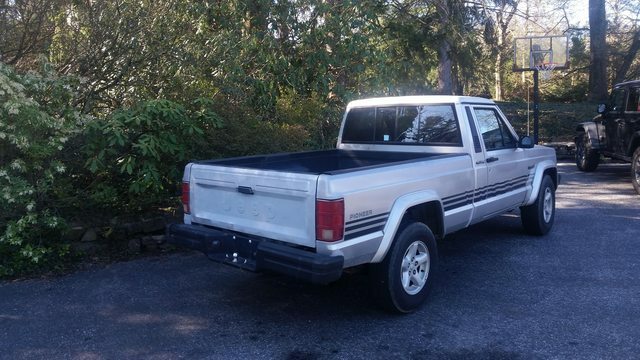 I really hope it's soon, and I'll be able to say the Comanche passed PA inspection and I've got that stock bedliner picked up. Regarding that radio, if you don't want to keep it I'd be more than willing to buy it from you. They're good when working, but the "working" part is always the problem with 26 year old electronics that sit in the heat all of the time. @Minuit: I'll let you know about the radio, and the maroon interior and steering column as well. At some point in the near future I expect all of it to become available. Thanks for your interest. After updating this build thread two days ago, I got inspired to get the brakes done. I realized I really need to get this PA inspection, mostly so I can pick up that new stock bedliner from Curt at Comanche Ranch, which will allow me to stash the 4.10 D30 and D35 in the bed, cleaning up the garage, allowing me to finish the YJ and thus making room for the Comanche build to start. It's like a domino effect I guess. With the goal being to pass inspection, I have to get the brake system functioning properly. When I bought the truck the PO informed me that the rear brakes needed a hardware kit and I should look at the rear proportioning valve. I have yet to crack the drums on the D35, but the rear proportioning valve was not operational, to say the least. The bracket it sat on was bent upward, and the lever just dangling there. 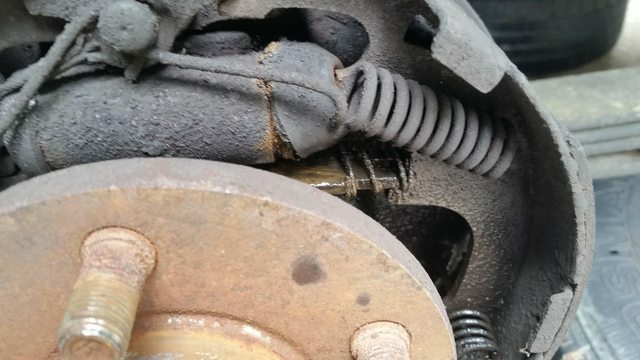 The vehicle felt like it had no rear brakes at all. So, in order to get things operational, I decided to install a YJ proportioning valve up front and delete the rear proportioning valve. 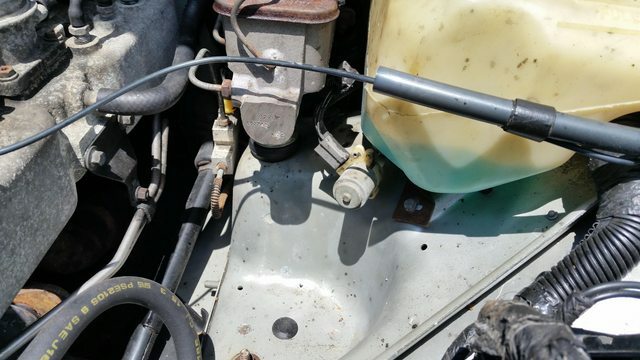 I know that some guys here recommend using the MJ proportioning valve and plugging it, and others use XJ or ZJ valves. I chose a YJ valve for four reasons: I had one; The YJ is set up pretty much like a Comanche - rear drums,l very little weight in the back until loaded (MJ) or armor/hardtop/doors/etc. 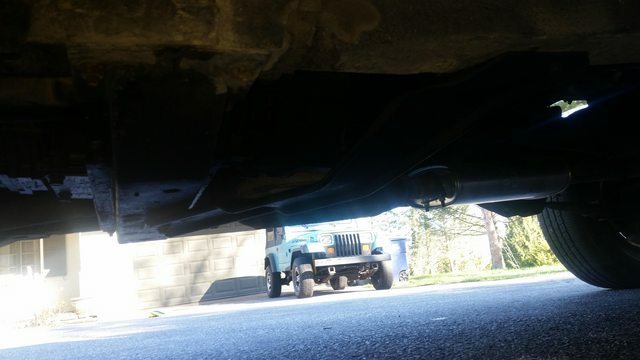 (YJ); When swapping to a rear ZJ disc brake setup in a YJ (planned for MJ) there is virtually no difference between changing to a ZJ valve versus keeping the YJ valve; I will be using a ZJ rear disc setup on the 4.10 D35 when it gets installed. Here we are with the proportioning valve removed. Vice grips are essential to provide the leverage needed to be able to get the brake lines off. I was able to get it completely uninstalled without cutting any lines. The hard brake line that goes into the nose of the MJ valve was removed. Here's a double booster and master cylinder from a 1995 YJ. I just used the proportioning valve attached to the bottom for this phase. I really want to get this double booster and master cylinder installed, but have to check clearances and mounting patterns. At the very least I'm going to have to move the washer reservoir about an inch forward and go to a cold air intake system to remove the air box. FYI, only late 1995 YJs used this type of booster. All others were single boosters. Some 95s have them, some don't. Depends on if the YJ was built before or after they ran out of the single booster units and started putting TJ parts on the YJs. 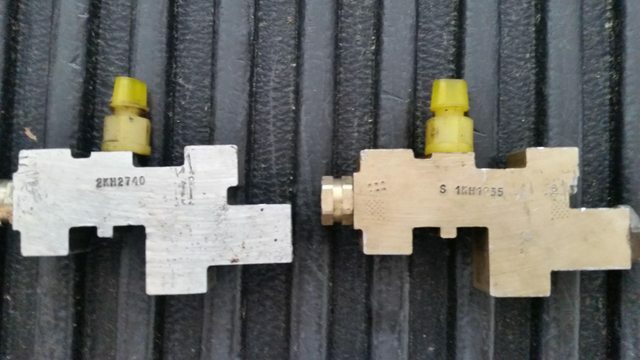 Here are the MJ and YJ proportioning valves side by side. Part numbers should be visible. They are virtually identical in dimensions. All fittings are exactly the same as well. It was bolt in. MJ on the left, YJ on the right. And here's one installed. Virtually bolt in. Even the brackets are a 100% match. That didn't fix my bleeder issue, ended up being a plugged up bleeder screw. Was pretty evident when I detached the caliper hose and fluid flowed everywhere. Grabbed a bleeder screw out of the parts bin and installed and was good to go. After everything was hooked back up I got the help of my wife to fill and bleed the system. We used the standard old school two man bleed process with one person pumping the brakes and the other bleeding each wheel back to front, passenger to driver side, and filling the reservoir. It didn't take long to fully fill and bleed the system and we got to the point where the pedal was so hard my wife said "I can't possibly push it in any further, it's got to be good". Awesome. So I then put the air box back in, started the truck, verified pressure myself quite vigorously with the emergency brake on and the truck in neutral. Then I moved a few feet forward to test, reapplied the emergency brake and did a second vigorous pressure test. Then BOOM, the driver's side line on the D35 blew due to rust was shooting fluid out like old faithful. 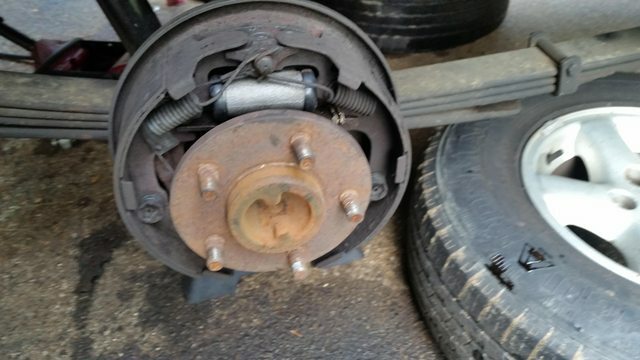 So, I'll likely be replacing that today or tomorrow so I can check off this brake job. At least I know everything works, and this pretty much confirms the fact that the rear brakes were not getting fluid with the rear proportioning valve mangled the way it was. I do have a stock rear proportioning valve, and the bracket that attaches the drop bar from the valve to the D35 cover. I do not have the drop bar, but it looks to use the same sort of attachments the throttle does, so I'm assuming one could be fabricated. I am unsure if the valve works, but it does seem to have a working spring or something in it that I can feel operating when I move the lever. I am putting the valve and bracket aside in case anybody on here is interested in them. Just accumulating MJ-only parts now, will list when the build is close to do to be sure I don't get rid of anything I may need. Also, I forgot to mention that when I picked up my 4.10 axles, I grabbed an amber driver side turn signal lamp cover for a couple of bucks from the guy as mine had a chip out of it. I put that on last night too. Took two minutes and it was nice to complete something. 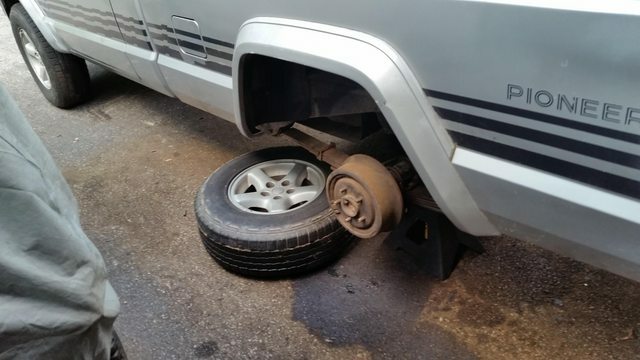 I then asked my wife again for help to bleed the brakes, and afterwards, again upon starting the Comanche and getting full vaccum going, something else went BOOM. This time it was the drum brake wheel cylinder on the passenger side of the D35. And the wheel cylinder. As I said, both sides were done, but pics would be redundant. 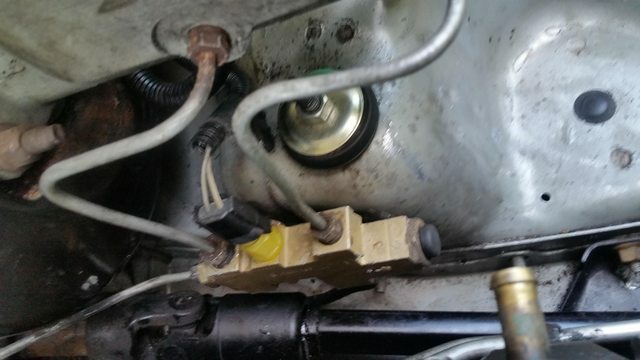 Note that Advance Auto lists three different wheel cylinders for a 91 Comanche - two different size lefts and a right. When I pulled the wheel cylinders I matched them up to those from some discarded drums from my 95 YJ. They are identical. Both sides are the same and they match the 95 YJ wheel cylinders exactly. None of the wheel cylinders Advance Auto had for the 91 Comanche are a match, but the 95 YJ part is right in their computer, and it's the same left and right. Please note: This is my experience with a 91 Comanche which has a c-clip Dana 35, which is confirmed identical to the YJ c-clip D35 in every way except brackets. My wife helped with the final two man bleed, and I think the Comanche is starting to grow on her a bit. The truck maintained brake pressure on my final test. I took it out in the street and did a few 20-0 MPH type stops and was able to lock the rear tires up repeatedly with full pressure on the pedal. I think mainly because it's wearing worn radials that had brake fluid on them, therefore they a hard time grabbing pavement. Everything looks solid here and I'm signing off on brakes unless the inspection man has any issues. Next up will be tailpipe install and fixing the chip in the windshield. Then I'm going to run through a full barrage of tests on the engine to ensure compression, vacuum, fuel and spark are all as good as they can be so as to ensure emissions are going to be OK. Then inspection, which is both safety and emissions. Will update again in a few days when I make more progress. Thanks for reading. I then moved onto the rear. I began by cutting out the hard brake line that ran from the nose of the MJ proportioning valve to the rear. I just followed it from the front and cut it out in 2-3 foot sections. I didn't take any pics of the rear proportioning valve installed (for lack of a better word), but here is a shot of it bypassed. I basically replaced everything with a union that attached the remaining hard brake line to the line attached to the drop hose that runs to the D35 axle. Here's a pic of the union, completely replacing everything. Do you have a p/n or specs for the union you used? Or did you mean a coupler fitting? Until you asked the question, I didn't realize there was a difference between a union and a coupler. I used a coupler. There is no quick disconnection feature, as there would be with a union. NAPA part number G60693-0303. Cost is $2.09, generically listed in their computer as an 'Adapter'. It will be deleted when I run permanent new hard line from the front to the drop hose. I am in the fix it phase, not quite to the upgrade it phase, yet. 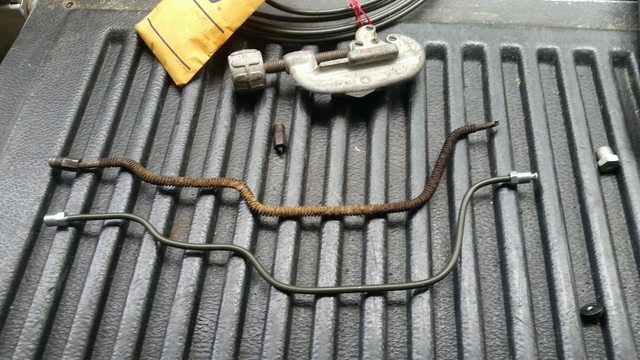 On hard brake lines, I ran into my Uncle today. He owns Wells Automotive in Glen Burnie, MD. They do a great business and are fair and honest, if anyone is in that area, FYI. I was talking to him about my recent brake repairs to the Comanche, and he asked what kind of line I ran. When I told him it was the standard teflon coated steel line, he said to try nickle-copper line next time. Apparently they've been using it for the past two years, and it holds up great and is affordable and very easy to work with because it's softer than steel. It doesn't rust, but develops a patina due to the copper in it. We are in the rust belt and his customers are happy because they're not back every five or so years for new brake lines. So I think I'm going to try nickle-copper lines on the Comanche when I run all new lines. Couldn't quite make out what it was in the pic, and thanks for the p/n. :cheers: A coupler is perfectly fine in a brake line, but a union and/or compression fittings are definite no-no's. A coupler is perfectly fine in a brake line, but a union and/or compression fittings are definite no-no's. I really appreciate that you noticed and asked about it. Safety first. Thank you. Over the last few days I tackled the items that stood in the way of the MJ and getting inspected for safety and emissions in PA.
A little bit about me: I have three older children, a son who is 20 and a daughter who is 18 from a previous marriage and a step-daughter who is 19. All three older children are on their own and in college. My wife, Amy, and I have a younger son together, who just turned 4 years old. When I first got the truck, I wanted him to call it a "manche" so I taught him that's what it's called, and he learned to call it that. Then he saw the Disney movie with Eddie Murphy called the Haunted Mansion, He has since referred to the MJ as the "haunted manche". (1) I repaired the chip in the windshield with a $12 Permatex kit designed for that purpose. I took a pic of the chip prior to the repair, but the pic I took afterward wouldn't show it. It's good, but not great. Acceptable for inspection purposes. At some point the windows are all getting gone over and mostly replaced. (2) Next up was the tailpipe. 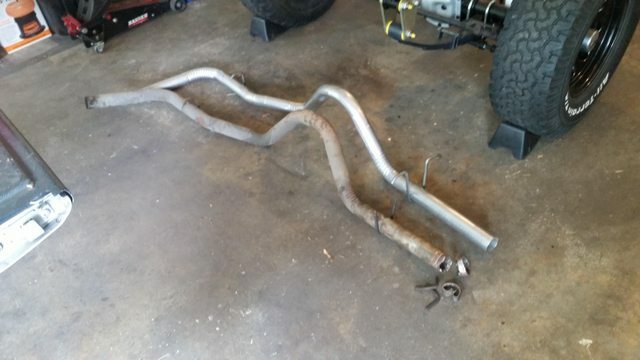 I used a Walker replacement tailpipe for a SWB Comanche part number 46701. It was a direct match for the tailpipe that was in the truck when compared. 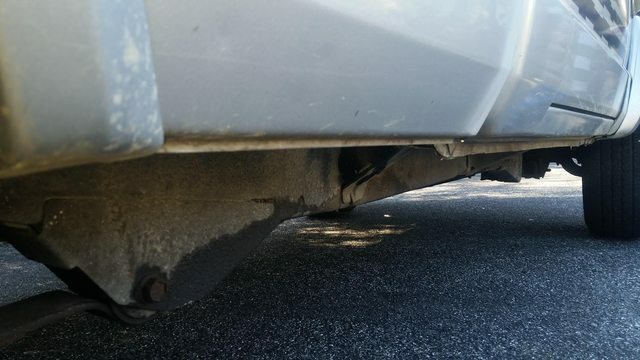 The old tailpipe had holes at the very back, and would not pass inspection. 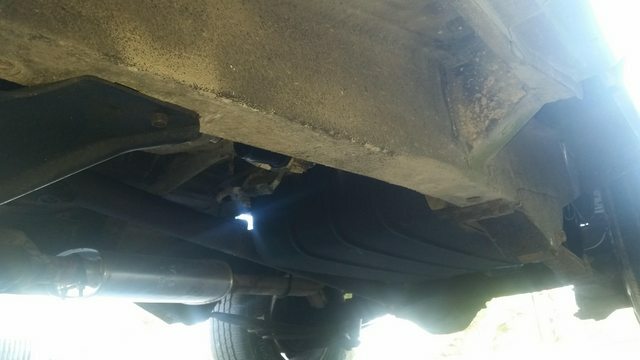 There was a new Thrush Turbo muffler already installed, so I was very careful during removal to only cut what was absolutely necessary and to massage the tailpipe out of the muffler without damaging it. I really like the tone of this muffler. It's low and not loud. It gives the truck a meatier sound while not being in any way obnoxious. It does not sound like what I think of when I think turbo muffler. I couldn't figure out a really good way to seat the tailpipe in the muffler. Carefully banging on the forward mount and shaking the tailpipe wasn't doing it. I instead used a limiting strap to pull the two pieces together. Worked like a charm. Unfortunately Walker welded the rear hanger in the wrong spot. 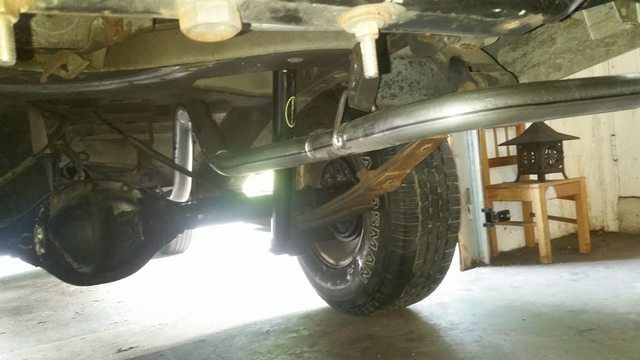 Not the best pic, but the mount was welded about 1.5" too far forward and was not rotated on the axis of the tailpipe enough for proper alignment. So I cut off the hanger, ground the tailpipe smooth, took the hanger to the workbench and modded it so it would lay right on the tailpipe. 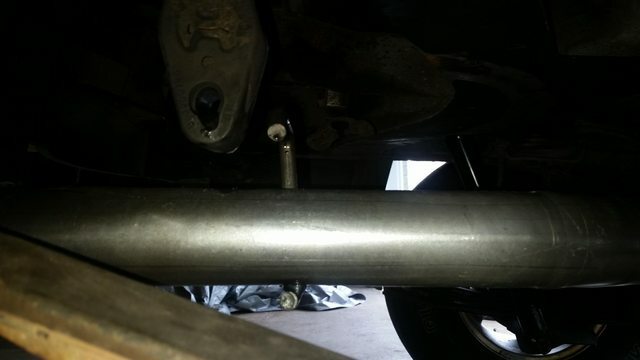 Then I mig welded it back onto the tailpipe in the proper location and position. 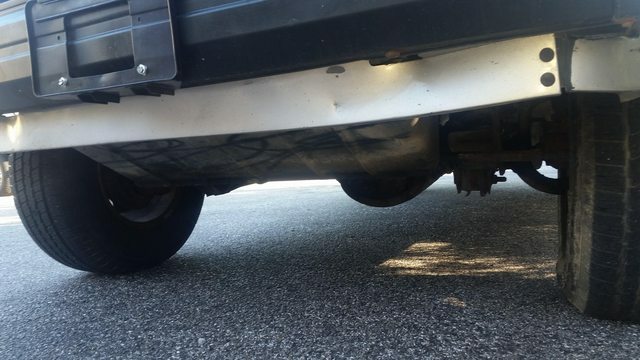 With the hanger moved, the tailpipe hangs perfectly aligned. 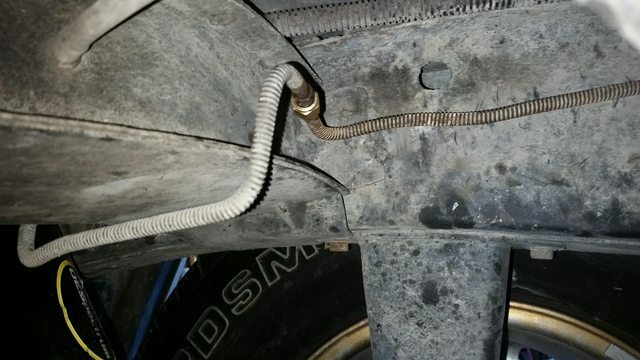 While I was under there, I replaced a plastic hanger in front of the gas tank which attaches two fuel lines and an evap line for the fuel tank to the bottom of the bed. The hanger had broken at some point and the lines were hanging. I used a frame mount for a YJ that runs brake and fuel lines. Worked great. (3) After spending three days under the truck, I was tired of being covered in grease left over from the previous motor. I thoroughly degreased the entire underside of the truck front to back using a combination of industrial purple degreaser and a pressure washer. I wouldn't say it is 100% clean, but it's 80% clean, and that's way better than what it was. While under the truck spraying everything, I noticed a bit of rust at the bottom of the passenger side rocker. I was able to remove metal and created a quarter-sized hole before I got to clean metal. 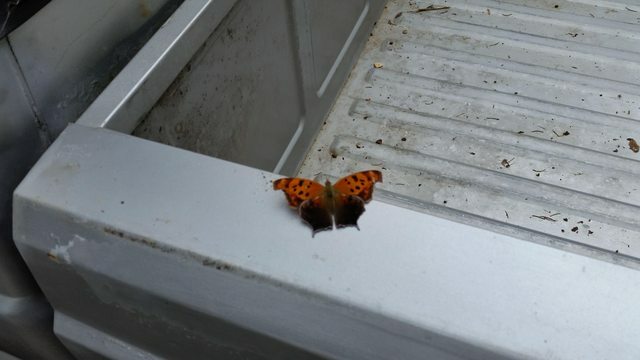 Not pleased, but this seems to be the only spot on the truck. I missed getting a pic of it, but thoroughly checked everything else. I have the state PA inspection scheduled for Tuesday, in two days. Between now and then I would really like to run compression, fuel pressure and vacuum tests, but not sure if I'll have time. When I do, I'll update this post with results. I'll post back with inspection results too. Cross your fingers for me. 4. Check contacts in the steering column for the horn for corrosion or debris. The horn seem to want to work only when pushed at certain angles. Maybe relay. 5. Refurbish or replace door vent window seals, and continue to look for a suitable rear slider window replacement, windshield replacement. 8. Fix bench seat. It's obviously not right on the driver's side - sinking 3" in depth compared to passenger side.